Your challenge for this week (May 28th - June 5) is to make a monochromatic "masterpiece." 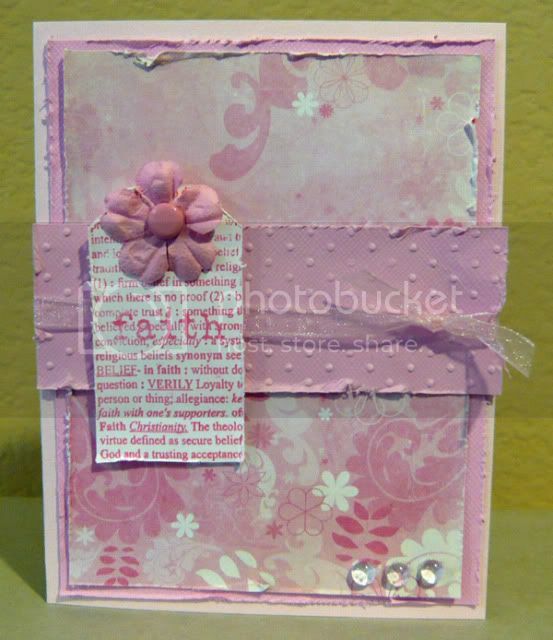 Monochromatic means...one color - so your card/page layout/project must have only one color. However, I think we can safely say, one color, plus a neutral (white, black, tan, cream, etc.). Here is Gloria's gorgeous sample! Remember to share your sample w/ us on the CropStop Gallery to be considered for a drawing on a prize!